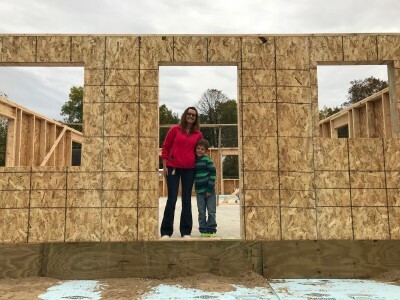 Carolin McDonell and her son, Easton (age 6), are building in Chisholm. They look forward to moving "only one more time!" 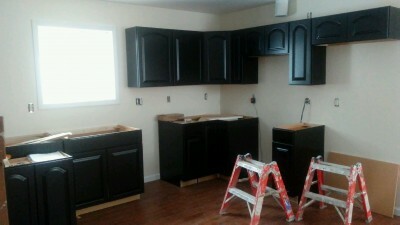 Easton is excited to be able to paint his new room. As of right now, he wants a red room! 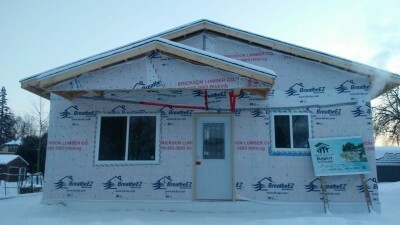 This Chisholm home is being build in partnership with the McDonell Family, the Chisholm and Hibbing High Schools and Hibbing Community College. 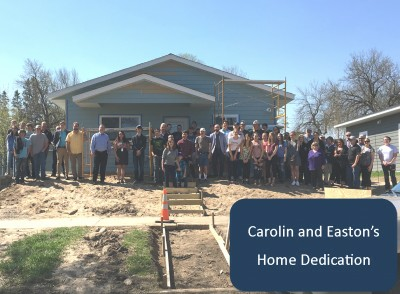 Photos: Greetings from our Front Door, Kitchen Install (Feb 2018), house as of 12/18/17 and Groundbreaking Ceremony (5/15/18).